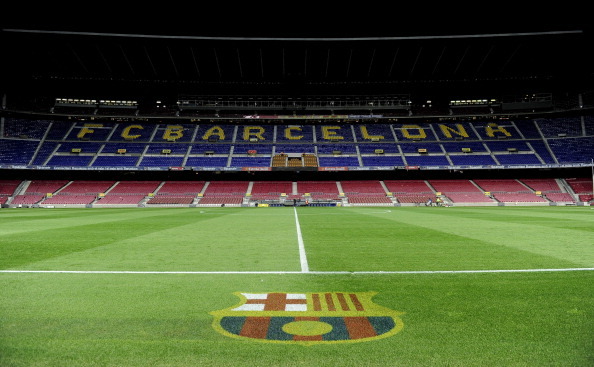 In a big blow to the club, FC Barcelona won’t be making any signings in 2015 after the Court Of Arbitration for Sport(CAS) endorsed FIFA’s decision to punish the Catalan giants for two successive transfer markets. The governing body issued a ban on the club from signing players in April earlier this year after they were reportedly found guilty of breaching transfer regulations. The club had appealed against the ban in August, but it was rejected. The matter then went to the CAS, who too have now, not given the club the green signal. The CAS website confirmed the news. "The Court of Arbitration for Sport (CAS) has dismissed the appeal filed by FC Barcelona against the Federation Internationale de Football Association (FIFA) regarding the decision issued by the FIFA Appeals Committee on 19 August 2014. "In such decision, the Spanish football club was sanctioned with a transfer ban for two periods, a fine of CHF 450,000 and a reprimand after it was found to have infringed the FIFA regulations with respect to the registration of a number of minor players. "In appealing to the CAS, FC Barcelona sought to annul the FIFA decision. The parties agreed to an expedited procedure and a hearing was held at the CAS headquarters on 5 December 2014 where the CAS Panel in charge of the matter (Prof. Petros Mavroidis, Greece, (President), Mr Efraim Barak, Israel, and Prof. Ulrich Haas, Germany) heard the parties, their representatives and their witnesses. "The panel found in particular that FC Barcelona had breached the rules regarding the protection of minors and the registration of minors attending football academies (articles 19 and 19bis of the FIFA Regulations on the Status and Transfer of Players). Accordingly, the FIFA decision is confirmed in full and the sanction remains in force. "In view of the need to issue a decision before the opening of the next transfer window, the Panel has issued its decision without the grounds. The full Arbitral Award, with the reasons for the Panel's decision, will be issued as soon as possible." The club responded to the decision, saying that it is not in agreement with the verdict. "FC Barcelona wishes to state, with all due respect for the sports authorities, that it totally disagrees with the verdict of the Court of Arbitration for Sport (CAS) announced today to confirm the sanction originally imposed by FIFA as a consequence of the alleged breach of regulations on the international transfer of minor footballers,” the club’s official website read. "The club has made it clear to the FIFA Disciplinary Commission, the FIFA Appeals Commission and the CAS itself that it understands and supports the policy on the protection of minors and the concern for the protection of their development and education. "This is confirmed by how they club has acted throughout its history, setting an example around the world for the way its young footballers are schooled and educated, and the work that is done on their development. FC Barcelona's youth structure has enabled hundreds of young players to achieve their dreams and receive a decent upbringing. "The errors that the club might have committed, and which have been recognised and argued before the corresponding authorities are, in all cases, of an administrative nature and to a large extent have been caused by the existing conflict between the FIFA regulations and Spanish legislation, along with the club's conviction that it was acting correctly. "Therefore, FC Barcelona considers the sanction to be completely disproportionate as it supposes an excessive punishment for the club, when considering its trajectory and the circumstances of this specific case." However, the club is permitted to renew the contract of existing players like Dani Alves and can also re-acquire the services of Denis Suarez and Gerard Deulofeu, both of whom are currently on loan at Sevilla.